iPhone 7 Plus does not have an unlock code, or any type of sequence. It is officially unlocked on Apple servers, which means that even after updating the system or making a factory reset the device will stay unlocked. In order to unlock an iPhone 7 Plus you need to provide the IMEI number, which can be found by dialing *#06#, or by checking in the iPhone settings. If you don't know the network you can use iPhone 7 Plus network finder. 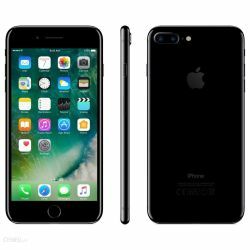 For blacklist check use our blacklist checker for iPhone 7 Plus. Fast service. Unlocked in 4 days. Excellent service. Received notification of unlock soon after submitting order. Instructions and communications were prompt, concise and clear. Popped in different sim and was soon greeted with the unlocked message. Cost was also lower than a previous competitor I had dealt with. Will definitely deal with them again if the need arises. Network unlock for an iPhone 7 Plus doesn't use a code or unlocking sequence. The device is remotely unlocked on Apple servers. If you don't have a simcard from a different network or you don't know the original network, you can use this service which helps you check your iPhone carrier and country check for iPhone 7 Plus. Wszystko w porz±dku. iPhone 7 z O2 UK. Blokada zdjêta po 6 dniach. Iphon zosta³ odblokowany skutecznie. Dzia³a sprawnie. Polecam. Wszystko dzia³a poprawnie. Bardzo dobry kontakt. I am not believing quick service for unlock my iPhone 7pkus EMEA network, I paid £25 for shop for unlock any wait for two week they failed to unlock,and again I paid $24.99 for ather company for unlock and they ask other $35 . Now my iPhone unlock only by €9.99 and within three days great service I am quite happy well done. Very happy with this service. I would highly recommend using this company for mobile phone unlocking. A fantastic and quick service. The price is exactly as stated when you first get the quote unlike some other sim-unlocking companies. Highly recommended.